The concept of “primary convictions” or presupposed “philosophical premises” is important when it comes to the nonsense that is religion vs. science. Religion and science are not mutually exclusive arenas where we must leave one completely behind as we cross over into the other. If science and religion are “fundamentally incompatible,” how did Pasteur, the father of modern medicine and a firm believer in God and His Word, ever discover the principles of vaccination, fermentation, and pasteurization? If, as Coyne declares, Darwinian evolution is “biology’s greatest theory,” then why did Pasteur directly oppose Darwin and his theory, all the while conducting experiments to enhance the Law of Biogenesis? Just as there were centuries ago, today there are scientists with a biblical worldview in every field of science. They go to school, study, graduate; they go to church, worship, pray, read (and believe) Scripture; and they go to work, conduct research, develop products, heal the sick; all the while operating completely unfettered (except by the opposition they endure from the enemies of faith) in their fields. Nevertheless, the idea that there is some battle between science and religion—especially Christianity—simply won’t go away. 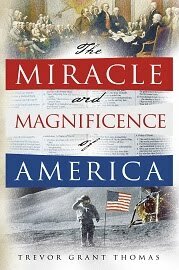 According to today's left, politicians, judges, military officers, policemen, teachers, and so forth are never to be guided by religion, but always by “science.” Thus, with their common liberal worldview (that is extremely hostile to religion—especially Christianity), we now have a disastrous marriage between the liberals who dominate “modern science” and those who dominate Big Government. I wonder if “geniuses” such as Baggini, Schweitzer, and Coyne applied their massive intellectual powers to the merits of the disaster that is now Obamacare, or to the debate over when human life begins, or to the many dangers of homosexual behavior, or to the myth of anthropogenic global warming. Wouldn’t you want to wager that, in spite of what many see as clear moral and scientific evidence to the contrary, such “scientists” abandon almost all reason and tow the liberal line when it comes to issues such as health-care, abortion, homosexuality, marriage, guns, and “climate change”? In other words, many of our politicians (and scientists alike) are surrendering themselves to scientism. Scientism is not science. It is an ideology that is often confused with science. It is, rather, an abuse of the scientific method and scientific authority. And, of course, scientism leads us to technocracy. “I dread government in the name of science,” said Lewis. “That is how tyrannies come in.” What a profound conclusion! How many of us have been duped in the name of “science”? How many of us cower and yield, because, well, if the “scientists” (and then the politicians) tell us so, then it must be so? We can see the results: generations are taught that life began without God; that the use of fossil fuels is warming the earth; that homosexuality is genetic and unchangeable; that abortion is not really the taking of a life; that marriage is whatever we want it to be; that confiscating the wealth of some to give to others is “fair;” that guns are evil; and so on. Of course, we then get laws and official government policy based on such conclusions. Wow, this sounds like discussions we have over the dinner table. I have a Political Science BS, but I started out as an Engineering student; My supposition has long been that science is a study of creation and has only strengthened my faith. It seems that it requires more faith to believe the "scientist" who tells you a conclusion that pushes a political agenda, and awards said scientist more funding, in educated, incomprehensible scientific language that is not accessible to the general public. Yes Dennis, no matter your worldview, at some point "faith" must enter into your thinking. This was Bahnsen's point. As we examine creation from an unbiased position, then certainly we will "see God." (See Rom. 1:19-20) And yes, many "scientists" reach their "conclusions" based on a political (or other dubious) agenda, and often it is in the name of money (or to justify immorality). What a fantastic article and a new term for me: "Scientism". Having been raised around many actual real-life scientists over my years (a chemical engineer, a hydrologist, a marine biologist, and several others) I often find myself bemoaning people who stand atop a loosely defined concept of "science" as the basis for all of their beliefs. You hear things like "studies have shown" and "it's science!" and "the consensus among the scientific community is X" - but the truth behind these statements is that what's being communicated is almost invariably a *belief*, and the attempts to cobble together something that passes for "scientific evidence" are often an afterthought. In today's world of "modern science", everybody knows you have to package your beliefs and ideas as reasoned and scientific even though they may not be. Sadly, many of these folks are clueless as to where a great many of their beliefs really came from. Boy would they be surprised to learn. As you say, the prevalence of Scientism and its presumed absolute infallibility in our culture and media is not accidental ("Big Bang Theory", anyone?) and is clearly devised to establish unquestioned authority and decision making power. What a desirable position to be in, right? Hiding behind the ultimate shield of credibility - ill-defined SCIENCE! Science, indeed. Doesn't sound like it to me. I've been privy to the rigors of true science for a long time, and the truth is that real scientists are more interested in coming up with the right questions and experiments than they are loudly broadcasting 4 parts results + 96 parts interpretation. "Scientists are not equipped to function as moralists” rings very true to me, and the best ones know this and do not mix the two. They say that religion and science are incompatible - I say politics and science are incompatible. Thanks Joel. It's amazing what sometimes passes for science these days. Of course, we should not be surprised. Almost anything goes when one stands against God and His Word.